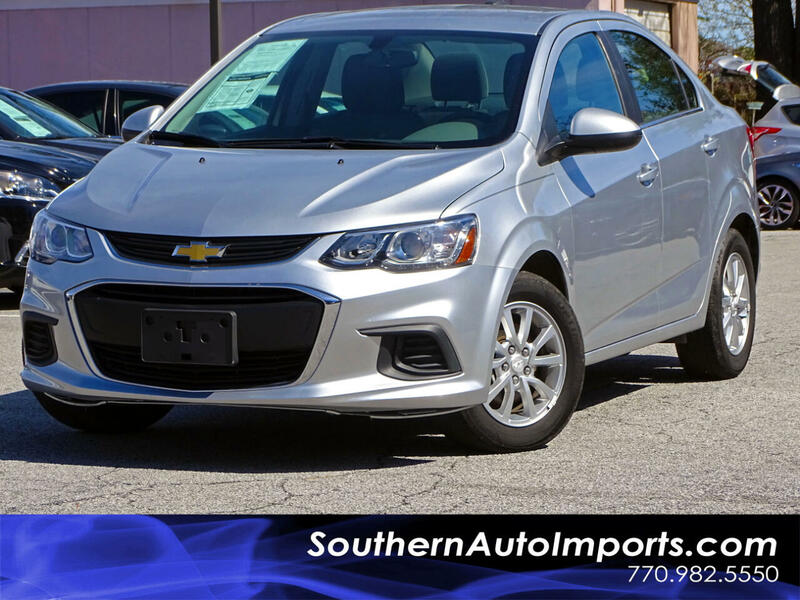 **CHEVY SONIC LT**CALL US AT 7709825550 TO GET THIS CHEVROLET TODAY** BACK UP CAMERA, NAVIGATION FROM TELEMATICS, HEATED SEATS, SILVER METALLIC ON GRAY INTERIOR CLOTH SEATS, AM/FM RADIO, SATELLITE RADIO, AM/FM RADIO, SMART DEVICE INTEGRATION, BLUETOOTH CONNECTION, ABS, TRACTION CONTROL, STABILITY CONTROL, PWR DRIVER SEAT, LOCKS, WINDOWS & MIRRORS, LEATHER HEATED STEERING WHEEL, STEERING WHEEL AUDIO, VOICE & CRUISE CONTROL!! CALL US NOW FOR MORE OPTIONS!! !